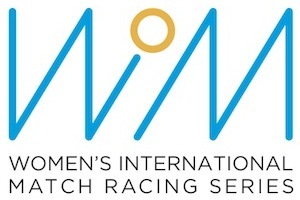 Octavia Owen and her West Kirby team clinched the 2018 Marlow Ropes Women’s Match Racing Championship at Weymouth & Portland National Sailing Academy on 8-9 September confirming their status as pre-event favourites. The championship, sponsored by Marlow Ropes and series partners Harken and Moody Decking & Services, was contested by seven teams from across the country in supplied Elliott 6 boats and it was the northern crews that excelled in their attempts to take home the trophy with Owen eventually coming out victorious. Racing began on Saturday morning in near perfect conditions of 12-14 knots from the west with the round robin preliminaries dominated by Owen and Scotland’s Ali Morrish. Both skippers were undefeated through five races when the pair met. Something eventually had to give, and it was Owen who took the initiative with a win over her rival. The second round robin saw lessons learned and put in to practice by Sophie Taylor, sailing with two crew she had only met the day before, and Rhiannon Massey as they charged forward taking consecutive wins before the first day drew to a close. With conditions on Saturday near perfect, Sunday went one better. The final races of the second round robin were contested in 16 knots of breeze from the west and glorious sunshine. Morrish continued her winning ways going undefeated and taking top spot in the semi-finals. The charge of Taylor and Massey had dented Owen’s scorecard, but she had done enough to secure the second spot. Massey’s stellar performance in the second round robin secured her berth in the semis with Taylor taking the last space by just one point ahead of Abby West and her team from Loughborough. The semi-finals saw the top seeds both come from behind as Taylor got the better of her Scottish compatriot Morrish and Massey taking the win over former team mate Owen. But favourites do not go down without a fight and both Morrish and Owen levelled their matches before taking the decisive win to progress to the final. For Taylor and Massey they would have to settle for the petit-final, a head to head which Taylor won 2-0. In the final it was Owen who drew first blood with a comfortable win, but an uncharacteristic mistake in race two led to a penalty which Morrish took advantage of to draw level. Owen took the third race with a thrilling overtake down the final run which left Morrish with a must win race to stay in contention. A prestart penalty against Morrish put the Scot on the back foot but undeterred she fought hard and built a lead on the first beat. At the start of the second beat Morrish felt she had enough space to take her penalty and stay in the lead. Her gamble had paid off and Morrish looked set to level the series until a cruel twist of fate saw her spinnaker jump out of its bag diving in to the waters of Portland harbour and bringing her boat to an abrupt halt. Morrish and her team could only watch on helplessly as Owen and her West Kirby team sailed past and in to an unassailable lead and with it taking the title of 2018 Marlow Ropes Women’s Match Racing champions. Winning skipper Owen said: “Me and the team had a fantastic weekend of sailing at the Marlow Ropes Woman’s Match Racing National Championships. We have been match racing for a few years and we are glad to say that all the hard work and training has finally payed off. A special thank you goes out to the RYA as without their support this would not have all been possible.